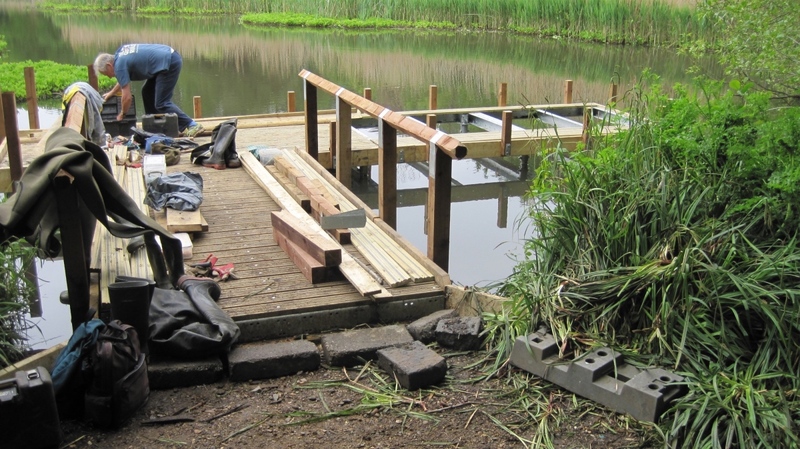 Fleet Pond Society (FPS) is well-known for the activities it carries out at the Pond and major projects include the Lions’ View platform and the new pond dipping jetty. 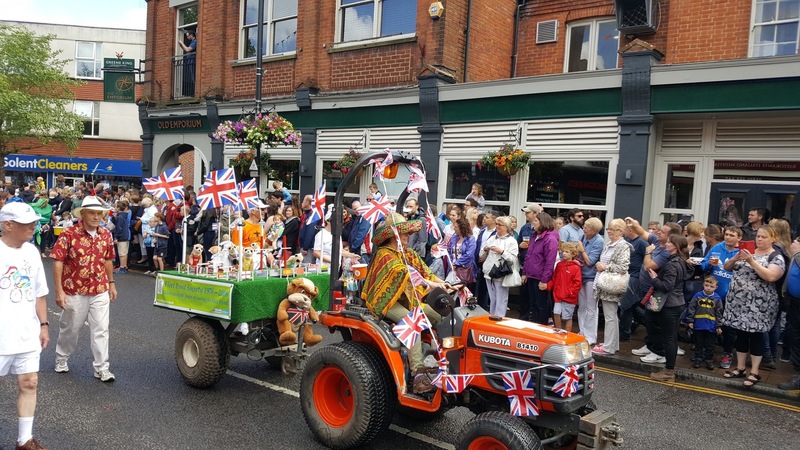 However FPS interacts with the local community in many other ways, including giving talks and presentations to increase awareness, and also participating in the famous Fleet Carnival. Each year ideas are discussed by the FPS Committee and a team and approach are chosen. Then all the hard work starts in actually bringing the ideas to life! This years Carnival theme is Rio. 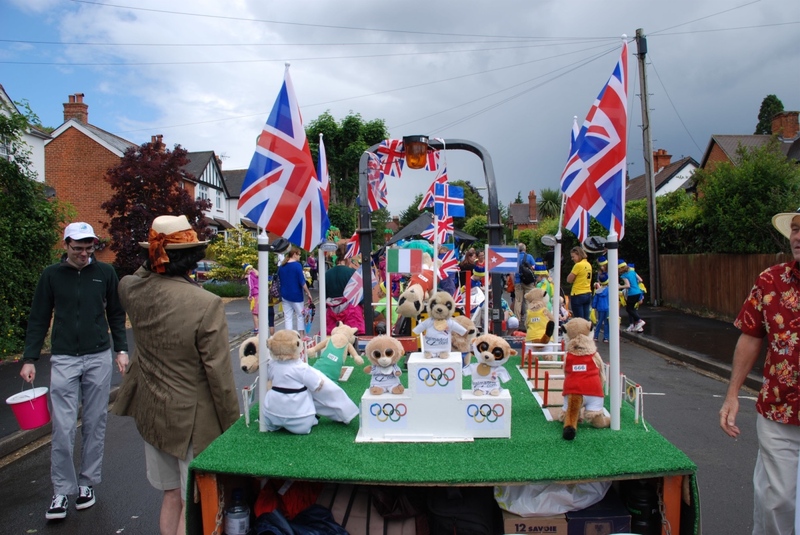 The ideas for floats are endless, you can choose to base your entry on the Olympics as a whole, or one of the 42 sports that will be featured or the Rio Carnival. The choice is yours! 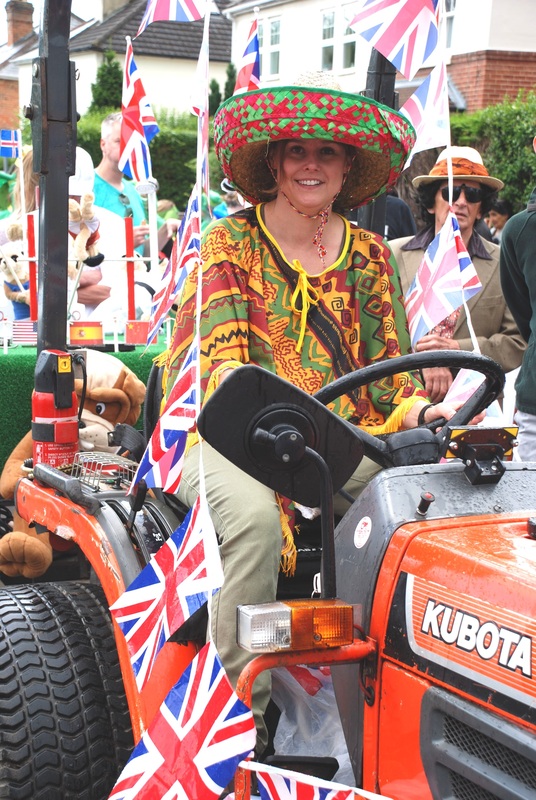 Michelle Salter, FPS Secretary, just about visible under the hat! 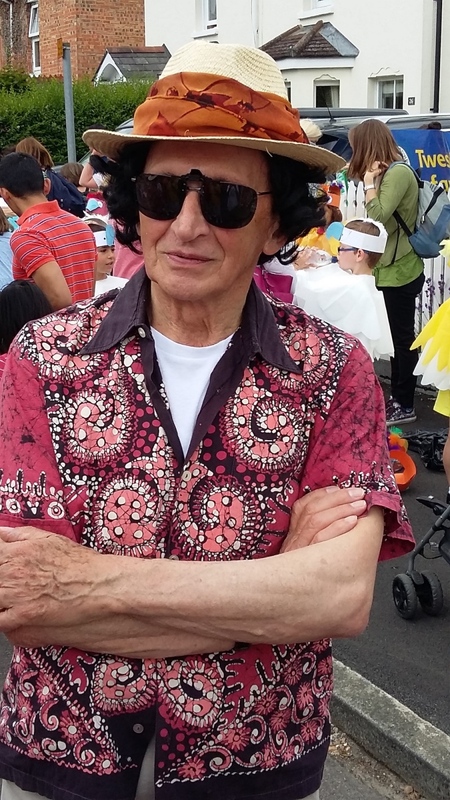 FPS Chairman, Colin Gray, in South American mode! 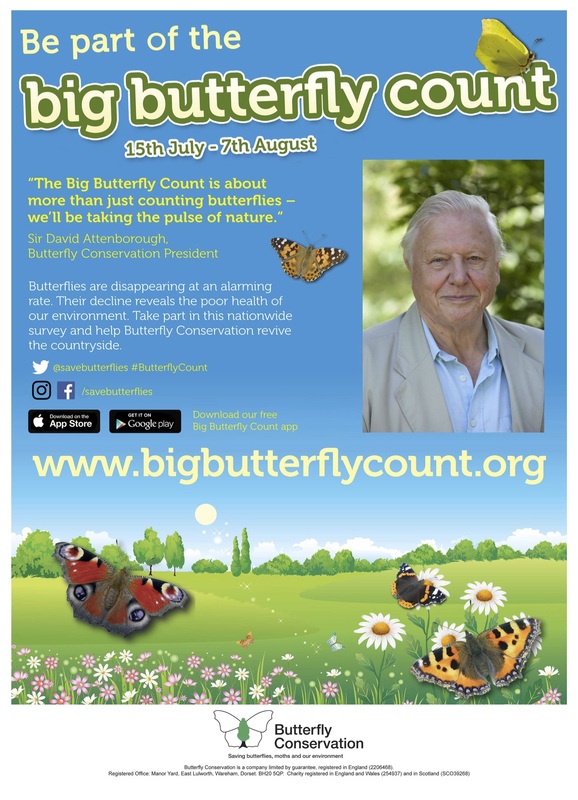 “The big butterfly count is a nationwide survey aimed at helping us assess the health of our environment. It was launched in 2010 and has rapidly become the world’s biggest survey of butterflies. Over 52,000 people took part in 2015, counting over 580,000 individual butterflies and day-flying moths across the UK (see the 2015 results). Join in with big butterfly count 2016 from 15 July – 7 August. 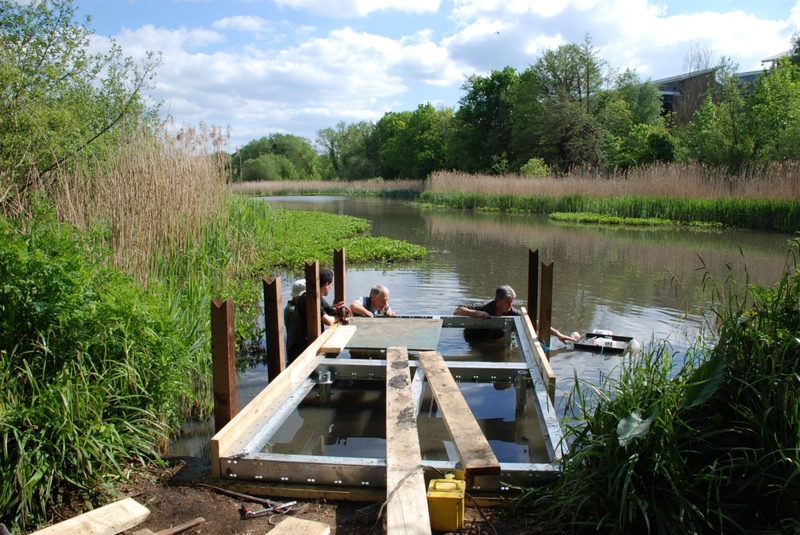 The brand new dipping platform at Fleet Pond’s Hemelite Bay proved to be one of the highlights of the recent Wildlife Day event. From its official opening it was packed with families the whole day. 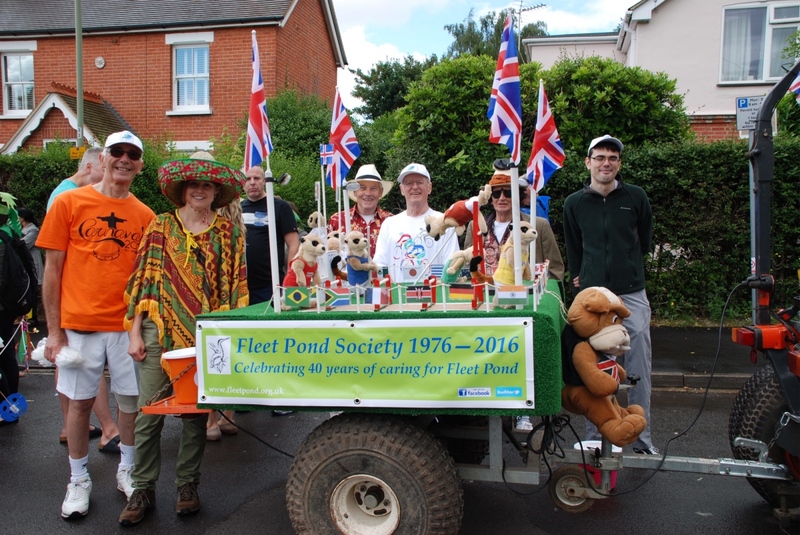 The Fleet Pond Society ‘Last of the Summer Wine’ team of volunteers carried out the construction led by Terry Austin, Vice Chairman of Fleet Pond Society (FPS). 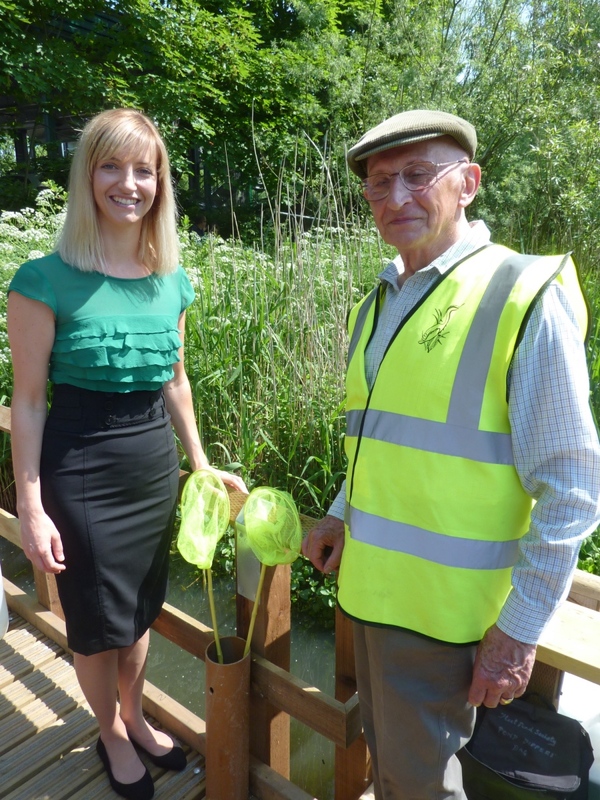 For every take-off or landing at Farnborough airport, the community environmental fund receives money to help support local projects. The airport pays a levy of £2 for every take-off or landing or £5 if the aircraft is a Boeing business jet or an Airbus A310 corporate jet. This money goes into the community environmental fund, which we manage. 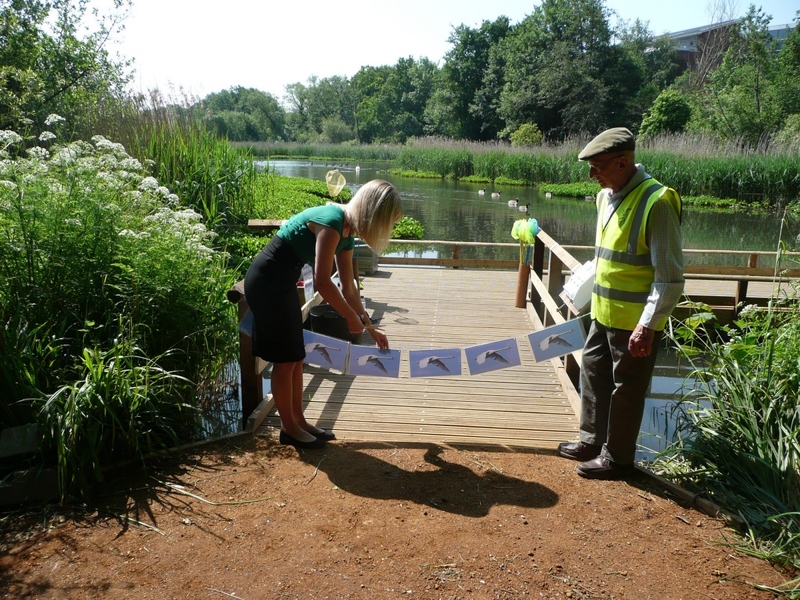 The Society were delighted to welcome Holly Reeves, the Environment Management Assistant for TAG Farnborough Airport to cut the swan decorated tape and declare the jetty open (see pictures above and below). Ed. 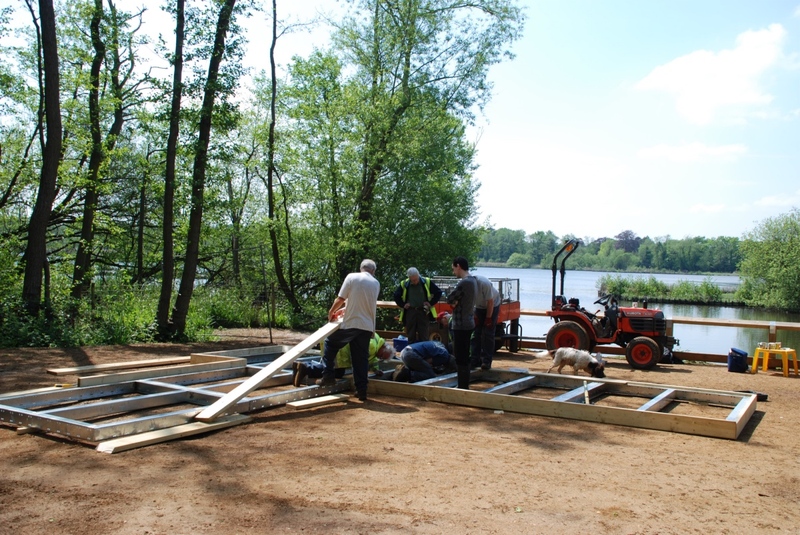 Here’s a series of photos that gives an idea of all the hard work and planning that went into constructing the new jetty. 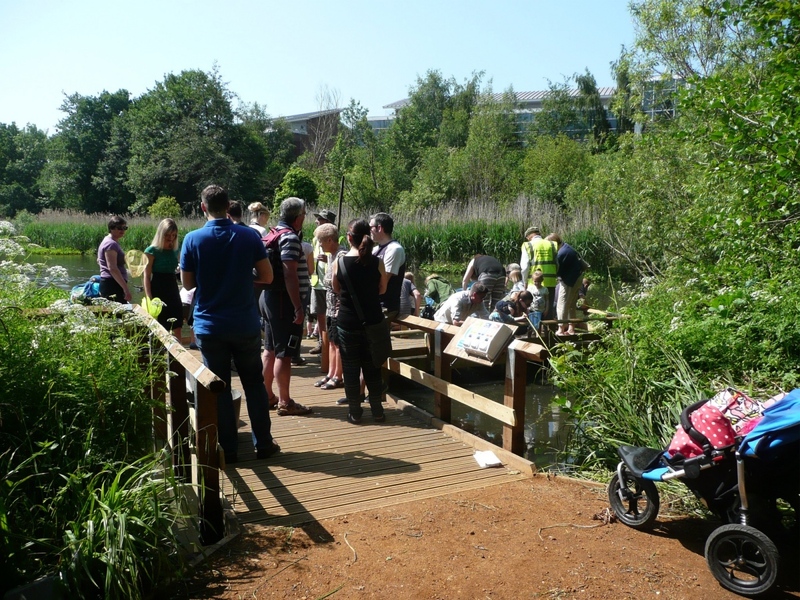 It also provides an impressive example of how FPS provides substantial and long lasting benefits to visitors to Fleet Pond. We are a registered charity and your financial support would be greatly appreciated. If you would like to contribute you can make an online donation (see tab above) or you can join the Society to also receive a very attractive and informative newsletter (see tab above). 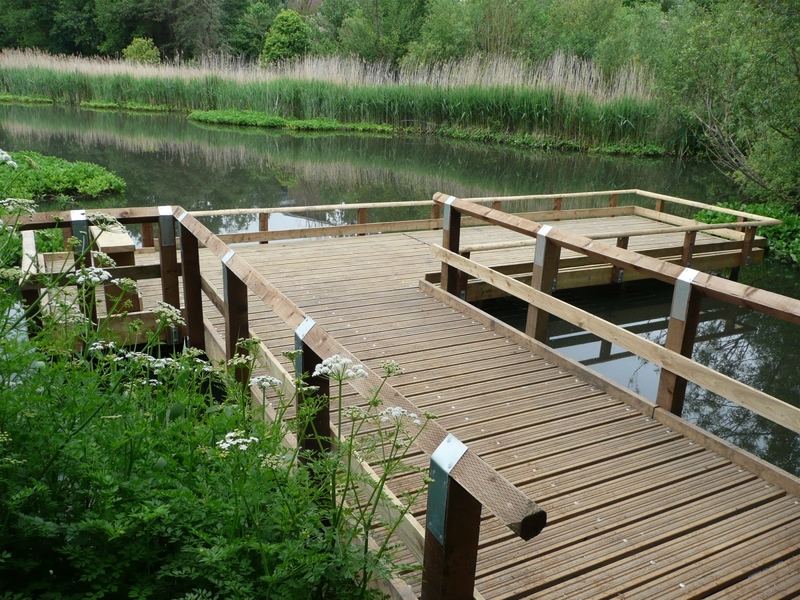 We hope you enjoy the new jetty in your walks around the Pond! 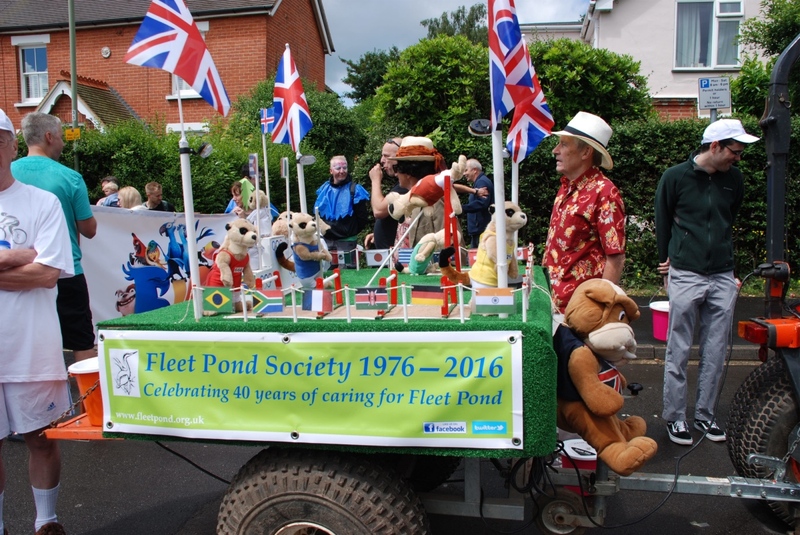 You are currently browsing the Fleet Pond Blog blog archives for July, 2016.